Is EPoll Surveys A Scam? No. Are There Better Options? Yes. Getting paid just to express yourself sounds like a great way to make money. EPoll Surveys say they’ll reward you for giving your opinions about commercials, celebrities and TV shows. Some are scams, some are legit, but most are just not worth the effort. I don’t think so but you can do a lot better. In this EPoll Surveys review I’ll do my best to outline the pros and cons of this site. Oh and just so you know, I’m not affiliated in any way with this site so in this review I’m just telling you how it is and how I see it. Lauched way back in 1997, EPoll Surveys is one of the oldest paid survey sites on the web. And though the website doesn’t look like it’s been updated since then, they’re still one of the major sites people go to when looking to make money taking surveys. The concept is pretty straightforward – you answer questions as honestly as you can and get rewarded for voicing your opinion. To get started you can head over to EPollSurveys.com, enter your name and email and you’ll get invited to take surveys and earn points. Points can be used to redeem Amazon, Starbucks, Best Buy, Home Depot and Target gift cards or a PayPal deposit. The minimum mark for withdrawal is $5. You’ll be answering questions about the latest TV commercials and movie trailers and surveys take 10-15 minutes on average. Note: You do have to be 13+ and live in the US or Canada to qualify. The number one rated paid survey sites is Swagbucks. They have more surveys to choose from, more ways to earn money and their pay you out at a higher rate. If you’re looking for the best way to earn some extra money taking paid surveys then I wholeheartedly recommend Swagbucks as your best option. Companies want feedback from particular demographics so it really does depend on your gender, family situation and spending habits. Unfortunately it’s no uncommon to read reports from people struggling to find surveys they can qualify for. For this reason alone, if you’re looking to make money doing surveys, you’re going to get frustrated with EPoll Surveys. A typical survey successfully completed will earn you around 100-500 points and will take you at least 30 minutes to complete. This may sound like a lot of points until I tell you 3,500 points is worth $5. But 7 surveys will take you 3 and a half hours (assuming no gaps in between). At 500 points each you’ve earned yourself the minimum withdrawal amount. This works out at at $1.43 an hour. And this is the best case scenario! Is this really worth your time?? Not only do EPoll pay you peanuts, they also make you wait anywhere between 6 and 8 weeks before sending your payment through. They call this the ‘processing time’ and understandably, this is what causes a vast majority of the complaints. As all gift cards and payment s are made online, I can only assume it takes this long because EPoll are waiting until they’ve received payment from the third party company before paying you what you’re owed. EPoll do pay out (eventually) and the surveys are safe and legit. But factor in the low payouts, lack of surveys and long waiting times and I personally wouldn’t bother with EPoll – it’s just not worth it and there are so many better alternatives out there. If you’re determined to go down the route of making money taking surveys then you should know that some survey sites have more surveys you can qualify for and higher payouts. Some survey sites pay you on the same day. To find out more about my top-rated paid survey site click here. They’re completely free to join and as well as surveys, they have a multitude of other ways to earn rewards like watching videos, playing games and completing free offers. While surveys can be a great way to earn a little extra pocket money, if you’re looking to actually make a full-time income online then you’re going to want to start a money making website. Truth be told, this blog is just one of many sites I own. Back in 2014 I had no clue about building websites or making serious money online but I learned everything I know over at Wealthy Affiliate. 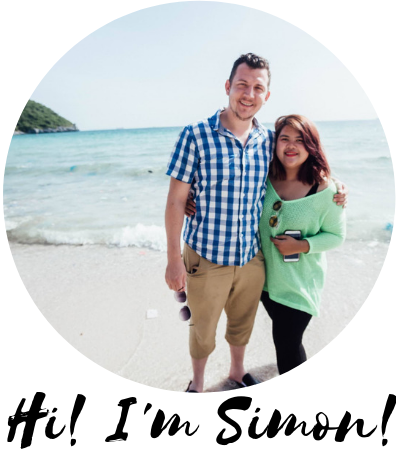 Through their step-by-step training courses, beginner-friendly website builders and top-notch community support I learned got to where I am today, earning more than $6,000 each and every month. Check you my Wealthy Affiliate review here and you can get the same access to free beginner’s training course. I hope you found this EPoll Surveys review helpful on your journey to earning extra money online. If you’ve ever had any experience with EPoll Surveys I’d love to hear what you think about them in the comments below. If you’ve got questions about anything we’ve covered, be sure to get in touch through the comments and I’ll try my best to help you out. E-Poll Surveys does not charge anything to sign up, and in fact no legitimate survey site will ever charge you anything to sign up. If they ask for a membership or “screening” fee, run the other way! Also, if you receive a survey invitation from E-Poll, you are already qualified for that survey. As long as you respond before the survey is filled, you will qualify to take the survey and earn the points. We NEVER let you start a survey before you know you’re qualified. E-Poll surveys are about celebrities, film and television programs, advertising and the like, so while we don’t have as many survey opportunities as some companies, our surveys are generally fun and interesting, and let your voice shape the direction of things you care about. We don’t ever sell your personal information or sign you up for lists or sales calls. All you’ll get from E-Poll are survey invitations, reminders and rewards. Maybe the real problem is that we don’t pay our affiliates as much as Swagbucks does??? Hi, if you read my review you’d know I never said there’s a charge for signing up or that you sell people’s information to third parties. You seem to imply I base my review ratings on how much money I can make – this is simply not the case. When I sit down and write a review I simply give my honest opinion. I give negative reviews on programs because they’re not good long-term options for anyone looking to make a full-time income online, regardless of affiliate programs. Great! I found that this review very useful for me. I’m about to register wth the EPoll Surveys scam and I just got lucky not wasting my money (if I’m not mistaken $39) to sign up there. I have done research about it and yes, many users have fallen for their scam. I think it’s important to research and find out as much as you can before we make any decision to join anything to avoid being a scam’s victim, right? I want to ask, is Swagbucks available in Malaysia. Yes I I think most people fall for scams because they believe the hype without taking 2 minutes to step back and do due diligence. Just to be clear though, I don’t think EPoll Surveys is a scam – it’s just a very low-quality survey site. At the moment Swagbucks is only available in the UK and Ireland, the US, Canada and Australia as far as I know.